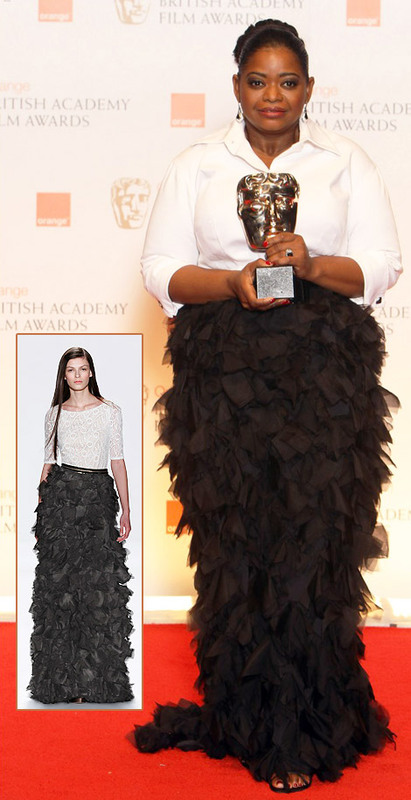 Have you seen the beautiful Octavia Spencer at the 2012 BAFTA Awards? 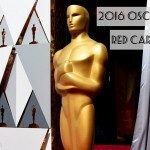 The ceremony took place yesterday, February 12, in London. Octavia looked incredible in black and white Tadashi Shoji – I loved the simplicity of the combination (the feathered black skirt is from Tadashi Shoji’s Fall 2011 collection) perfectly matching Octavia’s natural elegance. And I loved her smile, above all! Congratulations for her win: Octavia Spencer has been awarded with the Best Supporting Actress trophy for her role in The Help. Yes, I saw her and it was a moving moment. That skirt looked even better on the screen, when Octavia moves….